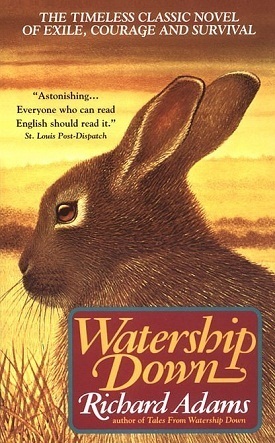 The Guardian recently posted an interview with Watership Down author Richard Adams. I recently posted a review of Watership Down in which I praised Adams’ ability to empathize with rabbits. Both the book and the interview are well worth reading. You can read the interview here. I have a lot of friends who adore Richard Adams’ Watership Down. This is a book for adults about a bunch of cute little bunny rabbits. Naturally, I was a bit puzzled, but also intrigued. I finally decided to try it when the Mythgard Academy podcast selected it as the next offering in its free podcast series. I came away impressed with the book, but not for the reasons I’d expected.